Yale's Grade 1 Hotel/Motel provides a secured locking mechanism that provides ample safety and security for your guests. Easy installation and long life. Choose from multiple Levers with a Rose trim. • Latchbolt retracted by key outside, knob/lever inside. 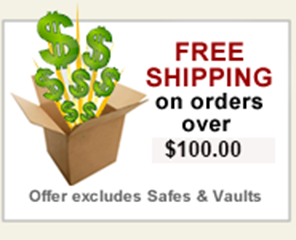 • Latchbolt retracted by master keys and change keys only when deadbolt is NOT projected. • Deadbolt operated by emergency/shut-out or display key outside and thumbturn inside. • When deadbolt is projected, the indicator button projects out (indicating room is occupied). Access from outside can be gained only with an emergency/shut-out or display key. • Outside knob/lever rigid at all times. • Anti-panic operation. 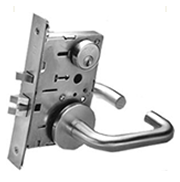 Operating inside knob/lever retracts the latchbolt and deadbolt simultaneously. • Master key system must be 7-pin. • Anti-panic operation. Operating inside knob/lever automatically retracts latchbolt and deadbolt with outside knob/lever remaining locked. • Deadbolt operated by emergency/shut-out or display key only outside and thumbturn inside.